February Is National Pet Dental Health Month: Clean Those Teeth! Dental disease is more than just a cosmetic issue. When your feline friend or canine companion has red gums, yellow teeth, and stinky breath, it could be a sign of serious oral disease that could, if left untreated, lead to devastating affects on your pet’s quality of life. Neglecting your pet’s teeth and gums can cause chronic pain issues that may even be at the center of certain behavioral problems. That’s why National Pet Dental Health Month, observed all through February, is so important. The American Veterinary Medical Association (AVMA) reports 80 percent of dogs and 70 percent of cats have some kind of oral disease by the age of 3. 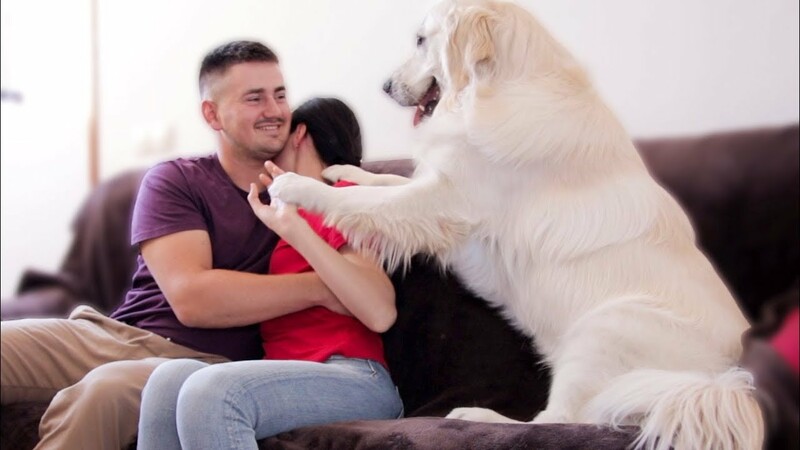 It’s one of the most common problems faced by our four-legged family members. Take this month to check your pet’s oral health, and make sure you know how to care for their teeth. National Pet Dental Health Month is the perfect time to call your veterinarian and schedule a dental check up for your furry family members. 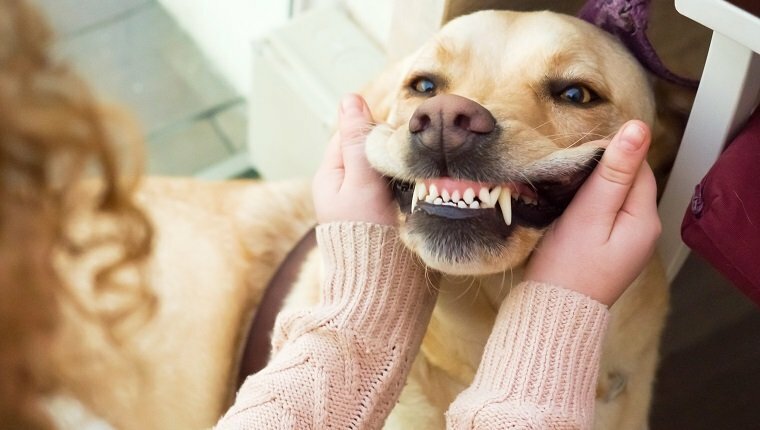 Caring for your pet’s pearly whites isn’t just a February thing; veterinarians all across the country want to remind pet owners that their pet’s dental health should also be a concern all year long. “Between regular veterinary examinations, pet owners should look for the warning signs of gum disease such as bad breath, red and swollen gums, yellow-brown crusts of tartar along the gum lines, and bleeding or pain when the gums or mouth are touched,” Veterinary Pet Insurance Co. chief veterinary medical officer Dr. Carol McConnell recommends. Pets with developing gingivitis and periodontal diseases often paw at their face or mouth frequently, have excessive drool, and may also exhibit an unwillingness to eat harder foods. As with many health issues, prevention is always the best medicine. 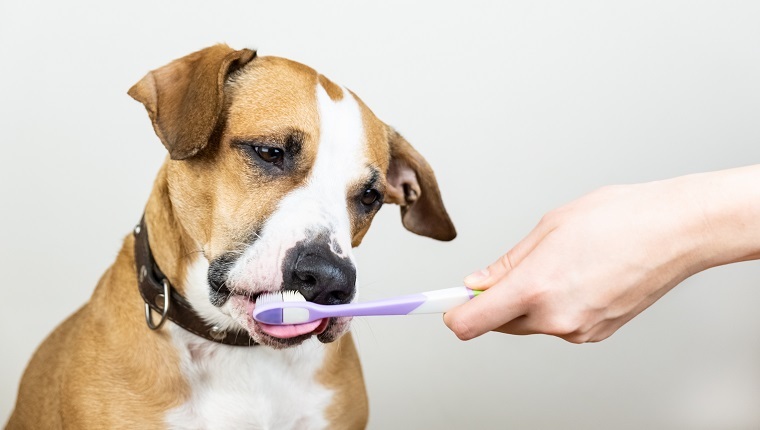 One way you can take a proactive role in preventing oral disease in your pet is by using an important tool that many pet owners neglect to purchase for their four-legged friends: a toothbrush. “Unfortunately, only about 1 percent of pet owners brush their pets teeth,” explains Academy of Veterinary Dentistry President Dr. Brook A. Niemic. A soft-bristled toothbrush should be used to clean your pet’s teeth daily to remove any food particles and prevent the build up of tartar and plaque deposits. Also, make sure to only use toothpaste specially formulated for use on pets. Overall health begins with a good diet, but did you know that many dental health issues are caused by malnutrition? 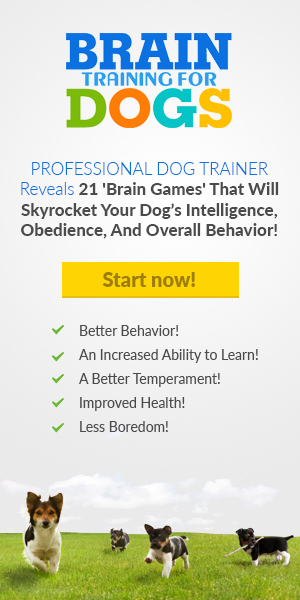 Work with your veterinarian to address your pet’s nutrition and develop a healthy eating plan. Foods with the Veterinary Oral Health Care (VOHC) seal of approval are highly recommended. Your veterinarian may recommend a professional teeth cleaning for your dog or cat once or twice a year or as needed. Performing a thorough oral exam can sometimes require the use of general anesthesia. 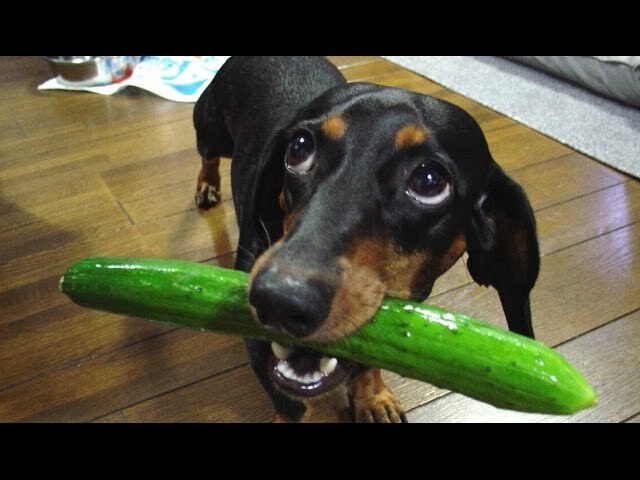 Your veterinarian will use instruments to scale and polish your pet’s teeth, removing tartar and plaque build up that could otherwise lead to dental issues. In cases of serious oral disease, your veterinarian may additionally recommend a tooth extraction. You can also find many dental clinics depending on where you live that offer dental cleanings at a discounted rate like the Smile Specialists in Southern California. Keeping on top of your pet’s dental health has lasting positive effects. Furthermore, some studies suggest that maintaining oral health can add up to five years to your pet’s life! Are you paying extra attention to your pet’s oral care during National Pet Dental Health Month? How often do you get their teeth professionally cleaned? Let us know in the comments below!